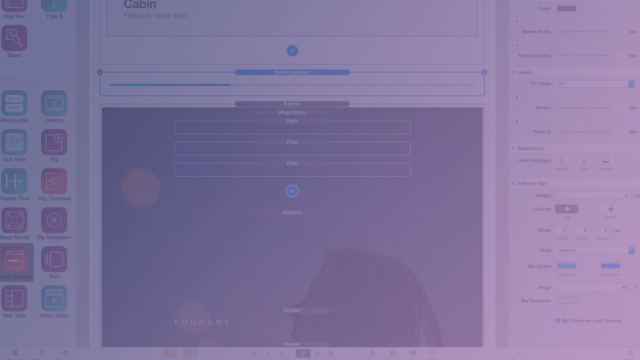 A collection of next level stacks for Foundry that include prominent and stylish display sections, video backgrounds, vertical tabs and so much more! 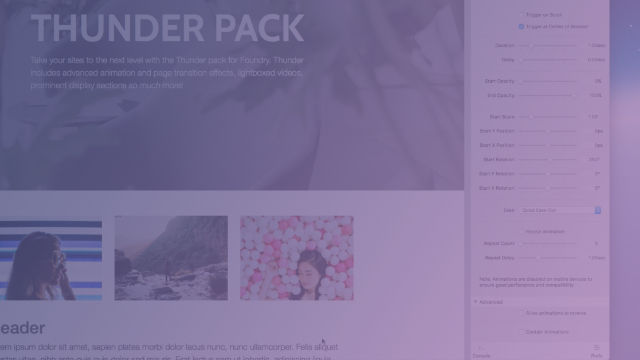 While Foundry includes everything you need to create full-featured, responsive websites, the Thunder Pack adds an level of power to your site designs. 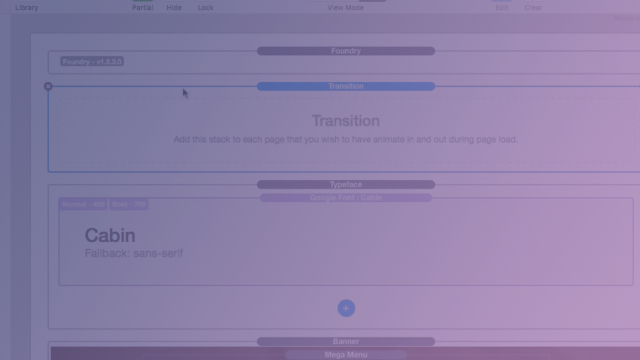 We’ve included several different, more complex or unique stacks, that will help you in shaping your sites. Add fun divider lines to your pages that animate into place, expanding to fill in their designated space. 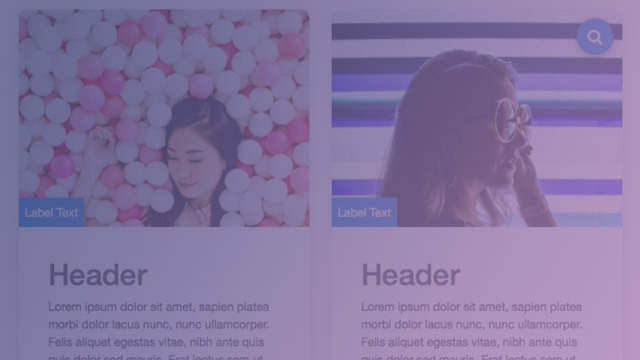 Build stylish, big block labels for your banners and other sections of content on your pages. Create stunning, cinematic video backgrounds for your content, or use them as a beautiful page banner. 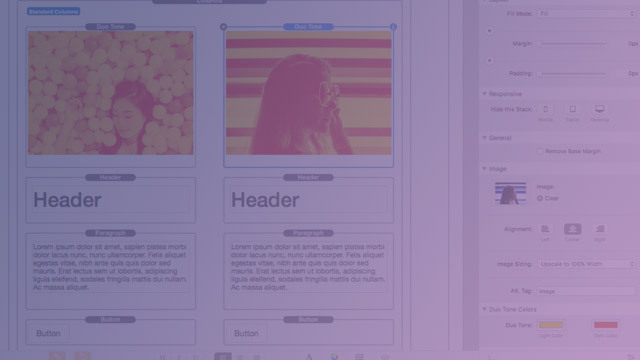 Develop gorgeous sections of content with their own individual toppers, labels, icons and more. Give your images a duotone style using your own custom colors to help set them apart. 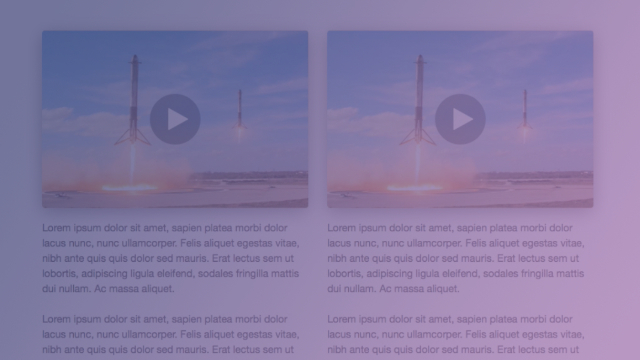 Create two-sided stacks, with content on both sides, which can be flipped over by visitors. 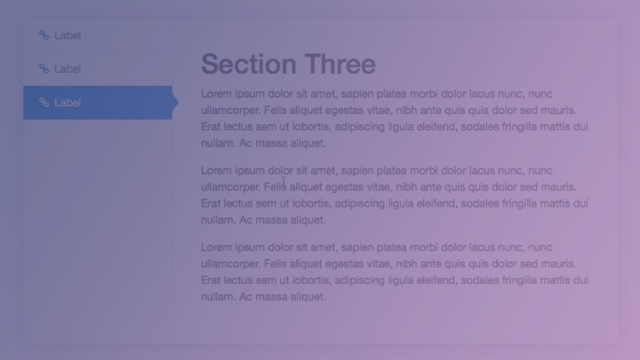 Add two blocks of content to your page, allowing one of them to wrap around the other. 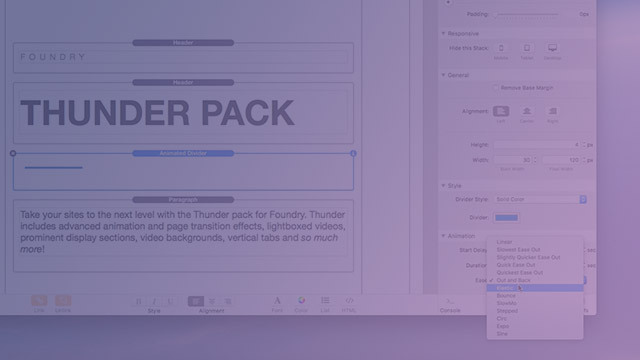 Advanced styling and layout options for headers. Great for banners, featured content. 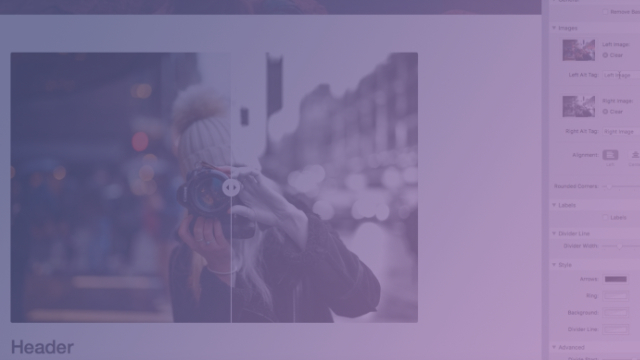 Let your visitors do a before and after comparison to a set of images you provide. Stylistic buttons with a lot of depth and personality that you can easily customize to match your pages. 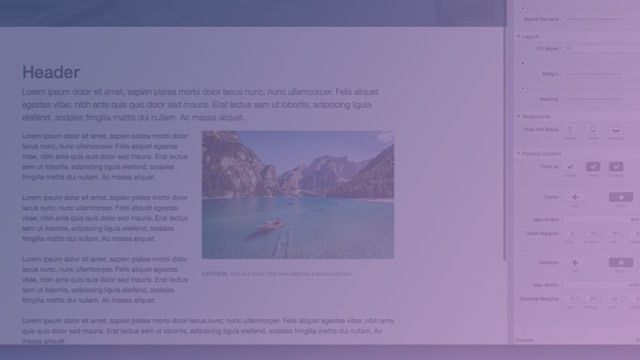 Build a lightweight, full-screen modal window that houses your content in a customizable overlay. 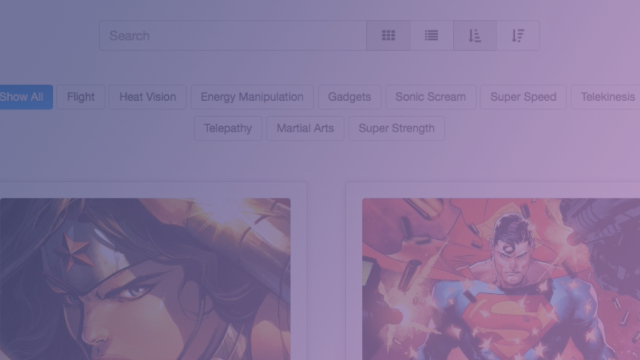 Add a unique little, manually curated, navigation to your pages. Can also be used as an anchor navigation. 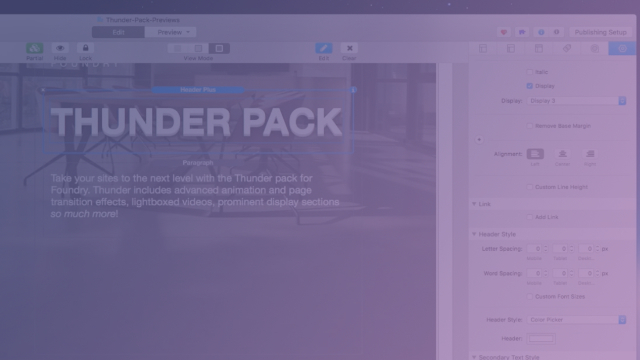 Take your animations to the next level. Create advanced, custom animations through a series of controls instead of pre-built animation styles. 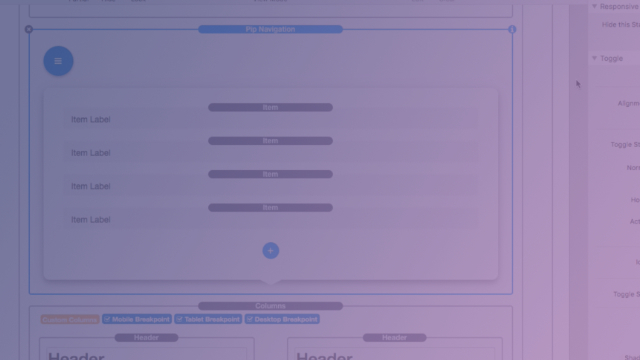 Show your visitor just how far they’ve scrolled down your pages, giving them a sense of how far they’ve come and how far they have left to go using a progress bar. 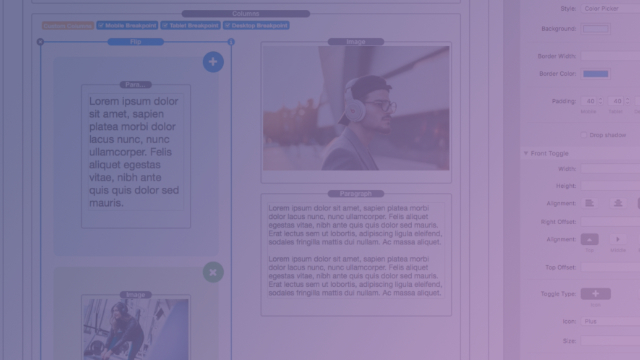 Use this customizable sorting stack to build filterable, searchable blocks of content for your page, featuring beautiful animations and masonry style layouts. 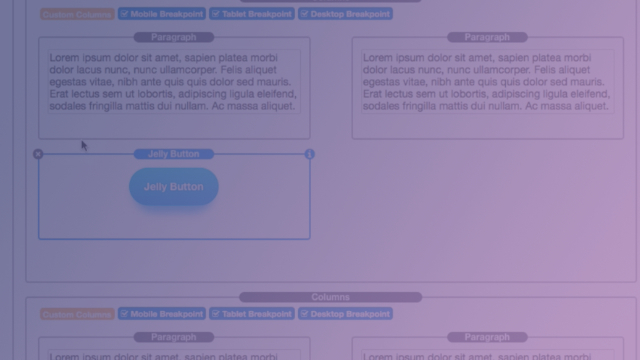 Have your pages animate into place and away again when a visitor enters or leaves a page. 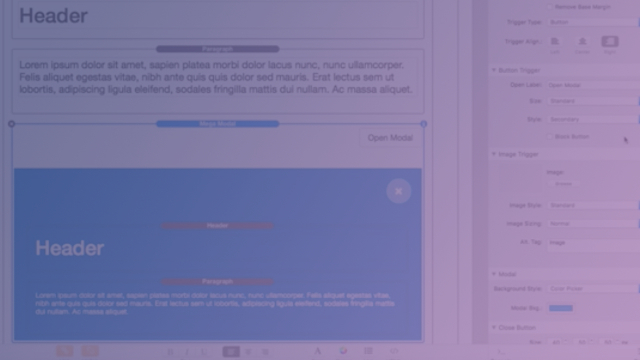 Generate vertically oriented tabbed sections to organize and tidy up your content. 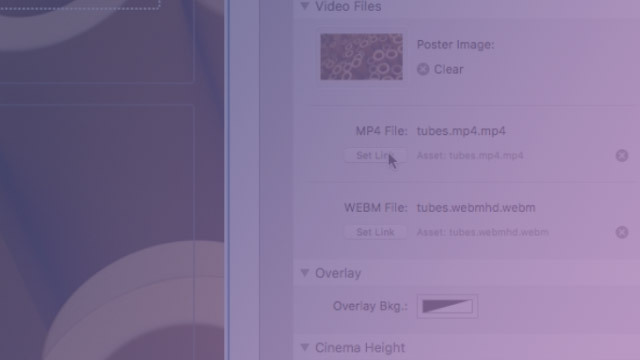 Add gorgeous, lightboxed video embeds to your page using YouTube or Vimeo videos. 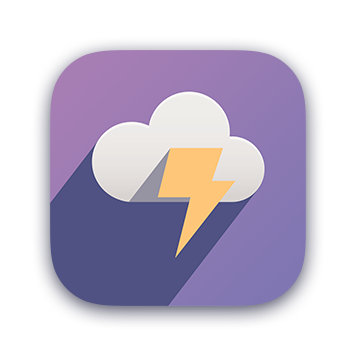 NOTE: The Thunder Pack set of stacks requires Foundry and is not included in the base set of stacks you receive when purchasing Foundry.